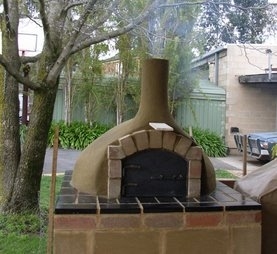 Here are some of the ovens built by participants of the wood fired oven workshops. 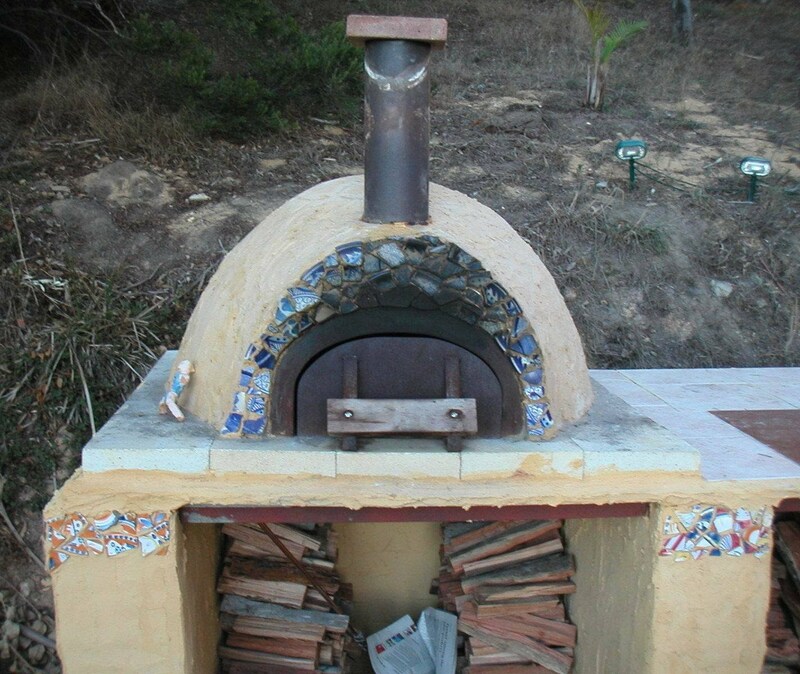 Many of these ovens combine aspects of both the low tech. and high tech. ovens built during the workshop. 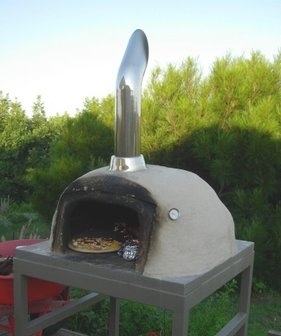 They are characterized by an imaginative variation of basic principles and processes learned while building the ovens during the two day workshop. 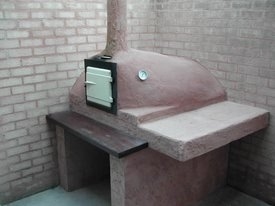 All ovens are individual, displaying the aesthetic sensibilities of their makers and adapted to the site specific requirements of particular locations. 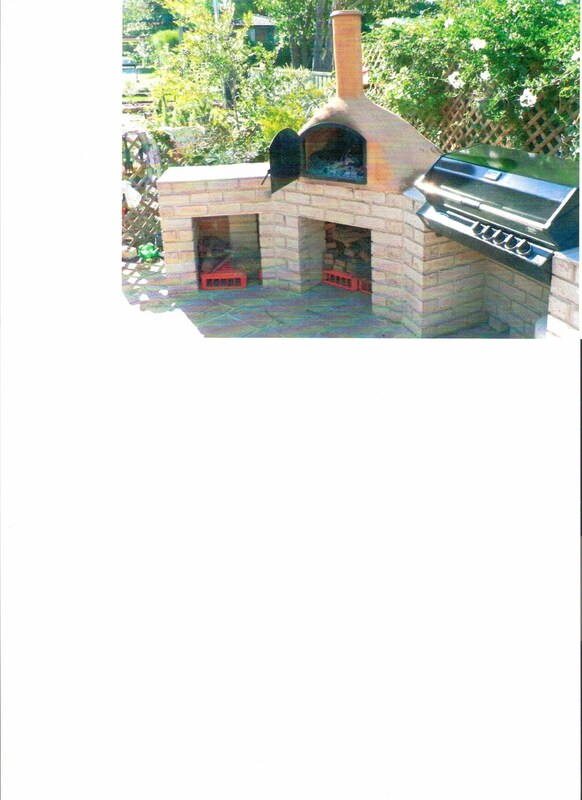 Steve has skillfully created a double walled brick oven that blends successfully with the brick paved outdoor entertaining area. Dorothy and Craig chose to construct a high tech. 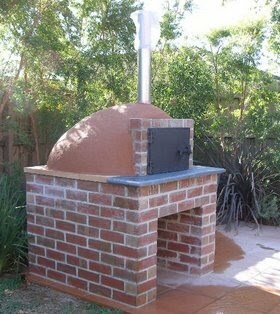 cast oven. It sits comfortably on its brick base amongst their back yard garden shrubs and other foliage. 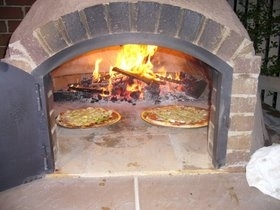 Jenny's oven works a treat when cooking pizzas. The swing steel door comes into its own when closed for baking bread and cooking roasts. 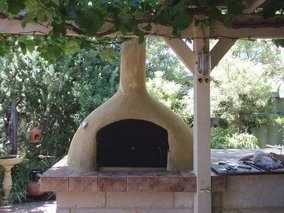 Ray's oven is placed beneath a vine covered pergola creating an intimate entertaining area, especially at night. The tile covered work area which links the adjacent barbeque gets a real workout when both oven and barbeque are in operation. 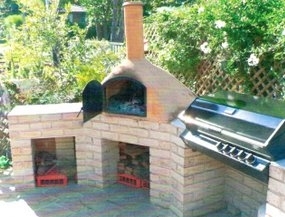 Robert's oven also combines with a gas barbeque and is thoughtfully tucked into an attractive corner of the garden. 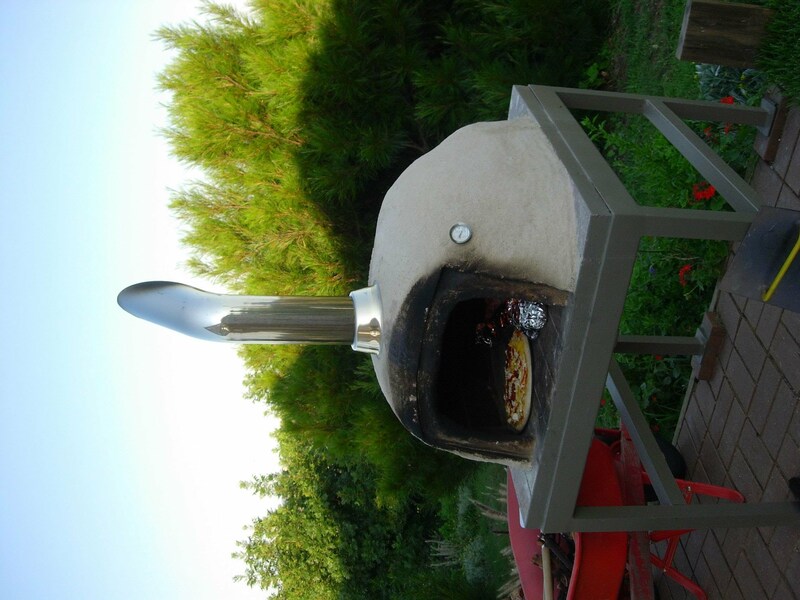 The fortuitous find of a chromed truck exhaust pipe, at a scrap metal yard, makes an ideal chimney on Ken's oven. It also prevents the entry of rain into the oven. Some mosaic additions gives Ron's oven a personal touch. The wooden slip-in door is used for the slow cooking of roasts and bread with the brick 'damper' preventing heat escaping. David has incorporated an old enamelled cast iron door in his oven, which, because of limited space, is placed snugly in the corner of a walled courtyard. A solid redgum plank and side bench offers plenty of workspace. Marg. built this oven at her home, with the assistance of fellow workshop participant, Julie. 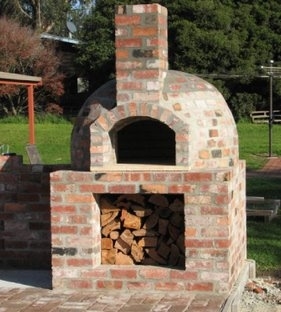 Their next project together is to build Julie's oven, at her home, gaining on the experience of the previous project.